The second in our series exploring high definition (1280×720) panoramas expands the concept to explore ‘worlds within worlds’. Embedding panoramas in a x/y/z space allows movies to be created where the camera automatically pans around a scene. 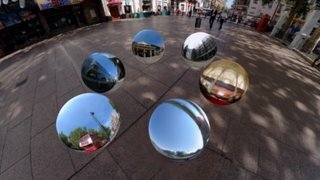 Panoramas are traditionally interactive, thus all our output via this blog is available in Quicktime Virtual Reality. However, if you are going to display panoramas in a stand alone location, such as the front of an office or marketing suite, a movie is more suitable and thus the requirement to move panoramas into a 3D package. If you expand this concept and embed panoramas within panoramas you can create ‘worlds within worlds’, as illustrated in the movie above. This allows a series of panoramas to be embedded within a ‘holding’ scene and presents a looping movie suitable for large displays. The YouTube movie is for rapid visualisation only, the High Definition version can be downloaded here (94Mb High Definition wmv format). I, Pat Carmichael, or better we, HKS Architects, have been working with game engines since 1999…..
I’m very curious as to how you made this movie. I think it’s incredibly brilliant and it’s much better with the music. I would love to know how you made the camera move and what software you used. I have panorama stitching software, and even 3dvista software. How do you do the movement though? Please email me at justinbohannon@hotmail.com or post move how to’s here. Patrick – thanks for the comment. I’ll def be in touch about ArchEngine… It would be good to include a write up on it here if your interested.. Thanks also for the comments it was made in 3D Studio max, but any 3d software would do. 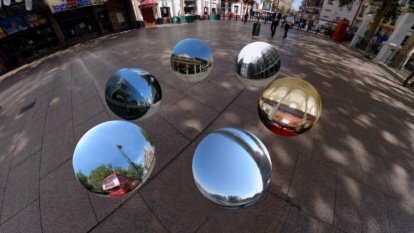 You simply map panoramas to spheres and then move the camera around the 3D space. A tutorial would be great to see for how to do this. I think I’ve managed to get the sphere in 3d studio max covered with the pano, but how do you do the camera, etc.